Coral Springs is a planned community by builder WCI homes. Before its incorporation as a city in July 1963, Coral Springs was part of a 20,000 acre parcel of wet and marshy land bought by Henry Lyons between 1911 and 1939. The land known as Coral Springs was originally a bean form. After the death of Henry Lyons, it was used as a cattle farm. After WWII, a real estate boom in South Florida brought land developers. Coral Ridge Properties bought the land from the Lyons family in 1961 for 1 million dollars Two years later, the City of Coral Springs was chartered. By 1964, a master plan for Coral Springs had been developed and plans called for a city of about 50,000 residents. The development of Coral Springs was so popular, the developers purchased another 6,000 acres from the Lyons family. As time went on, the city added 19 public schools, malls, parks and other government amenities in response to the popularity of Coral Springs. Today, Coral Springs is a thriving community that is much sought after. The Coral Springs bankruptcy attorney of Clare Casas have an office location centrally located in Coral Springs on Sample Road. An appointment with one of our Coral Springs bankruptcy attorneys can easily be made by contracting our office. 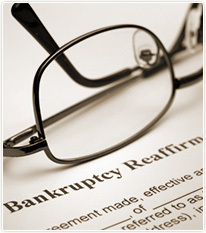 Have a Coral Springs bankruptcy lawyer review the facts of your situation today at no charge!